← View the artwork for our new EP! IN 3D! In case you haven’t heard, Texas Mod Crushers are playing at the Ace Corner stage at the Barber Vintage Motorcycle Fest on 7 and 8 October. 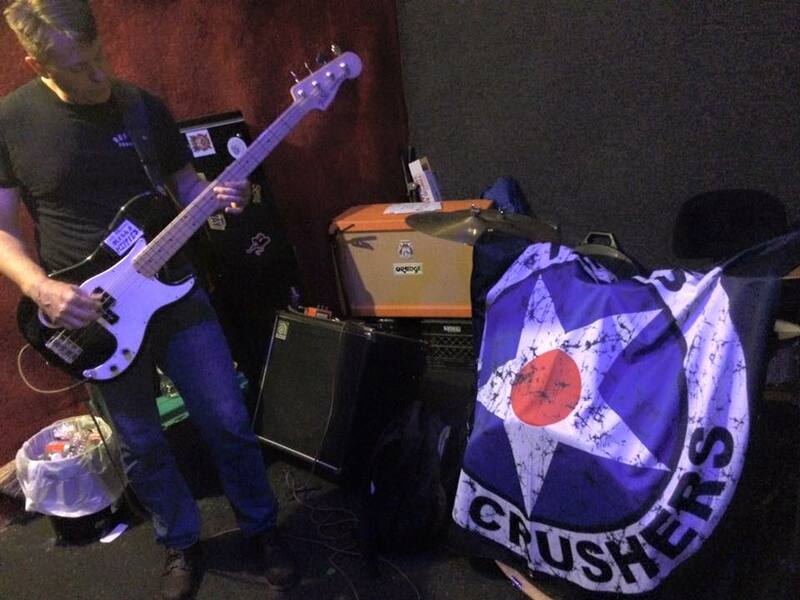 Here you can see Andrew warming up on his bass at rehearsal last night next to one of the awesome new banners that Phil procured. And it looks like we need to take out the trash too. We hope to see you at the Ace, where you will be able to purchase our new EP!